Ensure the conkers you have are small enough to fit inside your match box before decorating. Use the glue to attach whatever fabric you wish to the conkers - we used some felt off-cuts from our craft box to wrap around the top of each conker and then cut other pieces into wings and polka dots. Decorate the match box - I found some nature paper which I felt was perfect to glue around the box but feel free to use whatever materials you have. Paint it if you like. We also filled the match box with some green paper to represent grass. Have you been creative this Autumn? 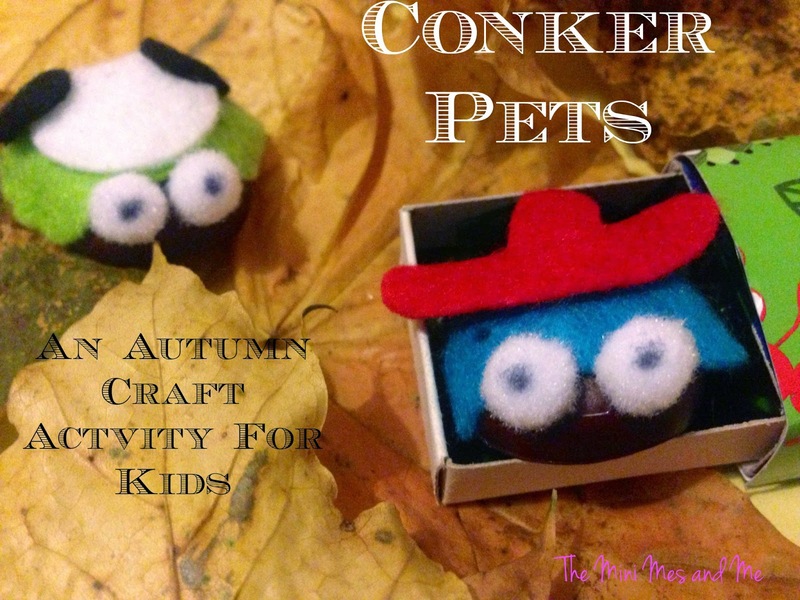 How do you use conkers? How cute! We have a place we go every year to collect conkers but I've crafted with with them before. What a great pet and it doesn't need feeding! What a fab idea. My boy was only asking tonight about crafting so think I will set this up for them tomorrow (well something similar). Thank you for sharing. Those are absolutely lovely! I'm certain the kids would love to make them themselves! Aw these are so sweet. We have so many conkers, the children just love to collect them so this would be a perfect craft! Very cute little pets - they remind me of the pet rocks that we used to make when I was little!